Former Chicago Cubs pitching prospect Rhee Dae-eun was selected first overall in the annual South Korean pro baseball draft on Monday. The KT Wiz picked the 29-year-old right-hander with their top pick in the Korea Baseball Organization draft in Seoul. Those who finished high school in South Korea and played for foreign professional clubs without having competed in the KBO were eligible for the draft, as long as their first pro contract expired before Jan. 31, 2017. Rhee signed with the Cubs in 2007 out of high school and spent seven seasons in the Cubs’ minor leagues. He never pitched in the majors and only got as far as Triple-A in 2014. Rhee compiled a 40-37 record with a 4.08 ERA in 135 minor league appearances. He also spent two seasons with the Chiba Lotte Marines in Japan’s Nippon Professional Baseball, and represented South Korea at the inaugural Premier 12 tournament in 2015 and the World Baseball Classic in 2017. 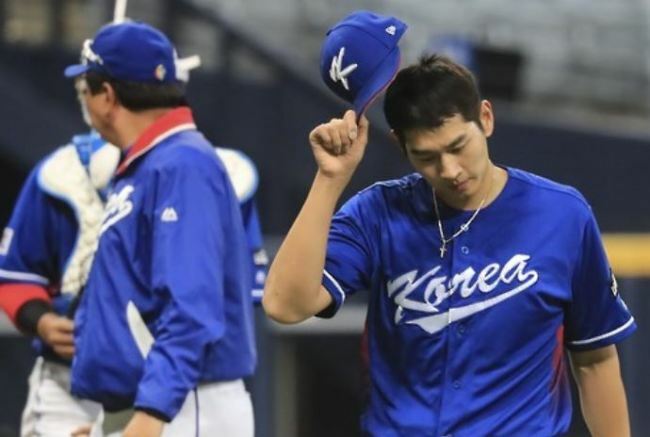 He’s completing his mandatory military service while pitching for the National Police Agency team in the second-tier Futures League. Rhee is scheduled to be discharged later this month. With the Futures League club, Rhee has gone 5-6 with a save in 18 appearances, while posting a 3.83 ERA in 89 1/3 innings.